What Happens if Turkey’s Next Election Is Still Inconclusive? Why have PKK cemeteries become a target? Is Turkey’s military returning to politics? Gunshots and explosions, presumably heavy artillery shelling can be heard in the city, according to the Turkish Dogan News Agency. The operation, involving the Turkish military’s anti-terrorism branch, commenced at 5 a.m. local time (02:00 GMT). A curfew has been declared in the city until further notice, according to the news outlet. According to social media reports, at least two people were killed, while several others were injured in the Turkish Army’s artillery assault. A local governor in Diyarbakir’s Bismil district in North Kurdistan (southeastern Turkey) imposed on Sunday a curfew in neighbourhoods Ulutürk, Tekel, Dumlupınar and Fırat, reportedly in order to “ensure the security of the people” and find and detain “terrorists”. The curfew was suspended on Monday but reinstated yesterday and is now in effect for to the entire Bismil district. It is likely that Bismil residents will witness a repetition of the events that took place in Şirnak’s Cizre district earlier this month when Turkish authorities declared a curfew that lasted 8 days and resulted in the death of at least 20 civilians according to Kurdish representatives from the People’s Democratic Party (HDP). Following the declarations of self-rule in many settlements across North Kurdistan (E/SE Turkey) in the last two months, the Democratic Regions’ Party (DBP) is preparing to hold meetings to discuss self-governance and autonomy in 15 Kurdish cities between October 1-11. The meetings organised by the DBP will witness a discussion of self-governance from various aspects in the provinces of Siirt, Batman, Mardin, Amed, Urfa, Dersim, Şırnak, Hakkari, Van, Bitlis, Ağrı, Iğdır, Kars, Muş and Erzurum. In Cizre district of Şırnak, which was sort of devastated by Turkish state forces during the nine-day curfew between 4-12 September, which left 21 civilians dead, people haven’t given up on the idea of self-rule, the declaration of which was responded by the state with brutal attacks that directly targeted civilians under the name of “fight against the terrorist organization”, which clearly hints PKK. Local people have formed 140 communes affiliated to neighborhood assemblies for the rebuilding of life in the town. The exact death toll from clashes in Silvan, a town in southeastern Turkey’s Diyarbakir province, was not immediately clear. A security source said it exceeded 10 people – all members of the outlawed Kurdistan Workers Party (PKK). Turkey’s crackdown on the PKK began in July after a 2 1/2-year-old ceasefire collapsed and has escalated ahead of a snap national election on Nov. 1. More than 120 security personnel and hundreds of militants have been killed. Among those detained on Friday were district officials of the Peoples’ Democratic Party (HDP), a left-wing grouping accused of having links with the hardline PKK, the local media said. An HDP spokesman had no immediate information on the arrests, and there was also no comment from Turkish police. Turkey’s parliament hosted a collective protest by Peoples’ Democratic Party (HDP) deputies against President Recep Tayyip Erdoğan, as the national assembly gathered for its procedural opening ceremony on Oct. 1. HDP co-chairs Selahattin Demirtaş and Figen Yüksekdağ were not present at the session, which began with introductory remarks by Parliament Speaker İsmet Yılmaz. As Yılmaz presented Erdoğan’s entrance in the general assembly hall, the HDP deputies in the hall refused to stand up, as required by custom, and when Erdoğan began delivering his speech all HDP deputies present left the hall in a show of protest. Police on Thursday detained a fourth person suspected of involvement in an attack on a prominent Turkish journalist and television presenter outside his Istanbul home. Ahmet Hakan, a columnist for the Hurriyet daily newspaper and host of a TV show for the CNN Turk network, suffered a broken nose and ribs, according to media and hospital sources. Police took the suspect to Istanbul Security Directorate’s public security department. Diyarbakır Bar Association published a survey report on curfew declared between September 4 and September 12, 2015 in Cizre district of Şırnak province in southeastern Turkey and also stated they would invite United Nations (UN) Special Rapporteur on Extrajudicial, Summary or Arbitrary Executions to Cizre. 15 people died from injured by firearms, 5 people died since they couldn’t be taken to the hospital or due to other reasons and 9 civilians and 25 securşty guards were injured according to the report. Governor of Şırnak had stated 42 guerrillas were captured dead, but Diyarbakır Bar Association’s report indicated it wasn’t confirmed in any way. Russia’s stepped-up military intervention in Syria is poised to dramatically alter balances in the war-wracked nation. The one group that benefited most from the upheaval is the Kurds, who have steadily expanded areas under their control and are now top allies of the United States in the fight against the Islamic State, also known as IS or Daesh. What impact will the Russian moves have on Syria’s Kurds? Al-Monitor put the question to Salih Muslim, co-chair of the Democratic Union Party (PYD), who is currently in Syrian Kurdistan (Kurdish region in northern Syria). According to reports from Reporters Without Borders Reporter carried by two German newspapers, none of the ISIS positions in the north of Syria have been targeted by Turkey. Mark Turner reported that, according to an Interview with involved residents, the government of Turkey not only failed to target ISIS positions, but in fact actually targeted Kurds. This, even though the ISIS base had been clearly identified. It is reported that not a single bullet was directed at ISIS. THE Turkish government could teach David Cameron a thing or two about trade union laws designed to stop unions organising. While we campaign to stop the Trade Union Bill in Britain, in Turkey the unions deal with laws which determine what union workers can join, and some are banned from striking. The government of AKP President Recep Tayyip Erdogan promotes a rival union confederation, Memur Sen, which competes with every other union to show how loyal it is to the government and as a result members of this “yellow union” get promoted before members of any other union. Increasing attacks on journalists, jailings, limits on collective bargaining, increasing restrictions on the right to report, more prosecutions and less press freedom. These were some of the key issues discussed at a conference held in Istanbul on 17/18 September, entitled “Turkey: Fighting for journalists’ rights and freedoms in a politically polarised country”, which I attended and spoke on behalf of the European Federation of Journalists (EFJ). Though the Justice and Development Party (AKP) will win a plurality in Turkey’s parliamentary ballot on November 1, the elections mark the beginning of the end for President Recep Tayyip Erdogan. Turks are tired of autocracy. They are increasingly uncomfortable with Erdogan’s efforts to undermine secular governance, erode the balance of powers, and marginalize Kurds in Turkey. Erdogan is a divisive figure who has polarized Turkish society and alienated Turkey from the West. On November 1, Turks will head back to the polls to redo their country’s inconclusive June elections. That vote stripped Turkey’s ruling Justice and Development Party (AKP) of the parliamentary majority it had held since 2002 (the first election in which it stood) and led to months of negotiations over forming a coalition government. Those talks went nowhere for a variety of reasons, including Turkey’s checkered history with coalition governments. There was also the insistence by all of AKP’s potential coalition partners on a resumption of investigations into allegations of AKP corruption that risked embarrassing Turkish President (and AKP leader) Recep Tayyip Erdogan. So with a coalition off the table, these snap elections are supposed to restore political order, presumably by returning AKP to a majority. 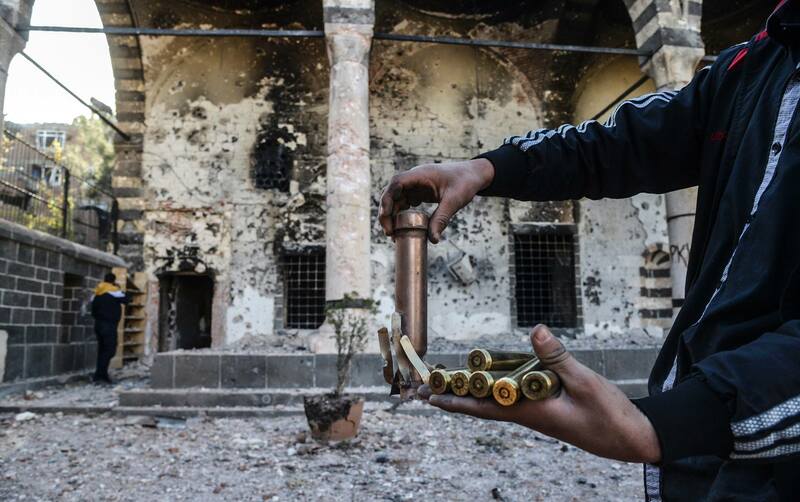 In the summer of 2013, unusual activity was underway in a rural area not far from Diyarbakir, the central city of Turkey’s mainly Kurdish southeast. Human remains — some of them two decades old and still unidentified — arrived in bags and coffins, exhumed from many locations across the southeast, as long lines of graves were dug. A new cemetery was being shaped, but it was not an ordinary one. The bones of 117 militants of the Kurdistan Workers Party (PKK), killed in clashes with the security forces since the early 1990s, were reburied at what was called the Harun Martyrs’ Cemetery. Named after a fallen PKK commander, the site was adorned with posters of jailed PKK leader Abdullah Ocalan and had the insignia of the outlawed group on its gate. Thousands of Kurds flocked to the cemetery for an inauguration ceremony in October, attended also by PKK militants and Kurdish parliament members. An analysis of Turkey’s recent political history reveals its military’s interventions in civilian politics are prompted by any of three major developments: domestic political crises, security threats from neighboring counties and military struggles with the Kurdistan Workers Party (PKK). All these key elements prevail today, encouraging a flurry of news and comments in local and foreign media that the mood in Turkey is exactly what the military wants. The inability of Presidents Obama and Putin to reach any agreement on how to tackle the conflict in Syria is good news for Isis. Its survival and expansion over the past 18 months has depended largely on the disunity and rivalry of its many enemies. This looks likely to continue. Events in Syria and Iraq will go on being shaped by events on the battlefield rather than diplomacy with the self-declared caliphate being squeezed in some areas, but capable of making advances in others. The only serious reverses suffered by Isis since its successful campaigns in the summer of 2014 have been at the hands of the Kurds in Iraq and Syria. Turkish Prime Minister Ahmet Davutoglu is at the United Nations in New York, making another push for Turkey’s long-standing demand for a safe zone in northern Syria, while President Recep Tayyip Erdogan seems to have realized that it might be a long shot given recent developments. In a major shift from his previous stance, Erdogan on Thursday suggested that the Syrian president could have a role to play in a future political transition. After years of adamantly opposing the idea, Erdogan seems to have come to terms with the reality on the ground: Assad is not leaving anytime soon, and Turkey must recalibrate the policy it has been pursuing since 2011 or risk being irrelevant. Erdogan’s shift comes against the backdrop of important domestic and regional developments. Talking to reporters in New York over the weekend prior to addressing the UN General Assembly, Turkish Prime Minister Ahmet Davutoglu made remarks that clearly indicated Ankara is not on the verge of a major policy change on Syria, despite recent speculation to that effect. His statements also suggested that Turkey will remain at odds with Washington and Moscow over priorities in Syria and how to proceed with regard to the future of President Bashar al-Assad. The instability caused by the conflict in Syria has had major implications for Kurdish political movements in Turkey and Syria. In Syria, the collapse of central authority has presented an unprecedented opportunity for self-governance, while in Turkey, the end of the ceasefire between the Turkish government and the Kurdish Workers’ Party (PKK) has jeopardized the ongoing peace process. This has ramifications for the Turkish government’s Syria policy, especially ahead of Turkey’s general election in November. The panel will assess the current state of Kurdish politics in Syria and Turkey and will consider the shifting dynamics between the different Kurdish groups. 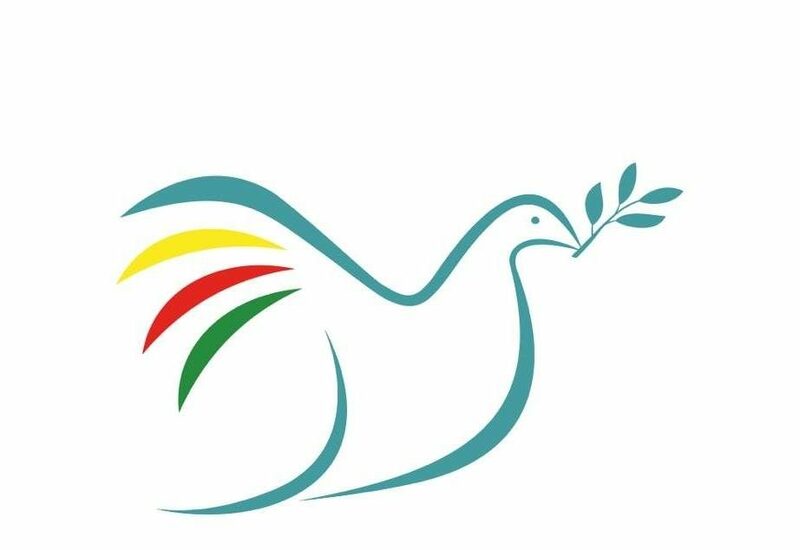 Delegation Report: Women’s delegation condemns the arbitrary killing of 21 civilians in Cizre, Peace in Kurdistan Campaign, September 2015. The Impact of the Syrian War on Kurdish Politics Across the Middle East, Chatham House Briefing Paper, 23 July 2015. Press Release By The Unison Scotland Delegation Who Visited The Kurdish Region In Turkey, 28 September 2015. 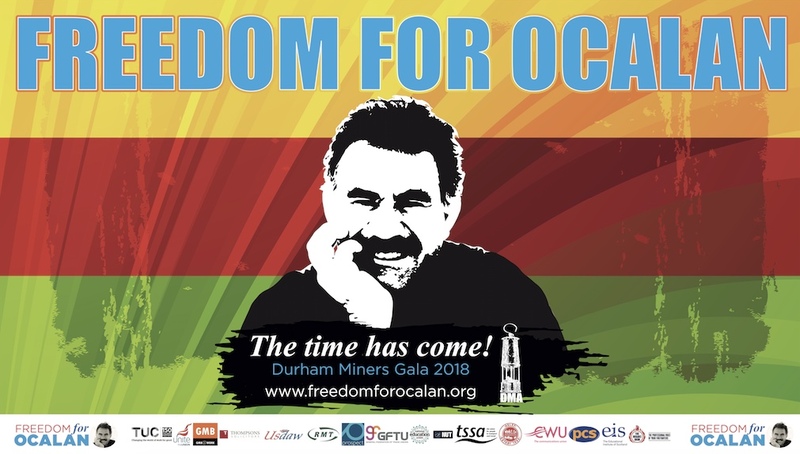 Hunger Strike for the Freedom of Öcalan, Freedom for Ocalan Initiative, 28 September 2015.